Lencrow Group has started to import the ICEM brand of counterbalance stackers. 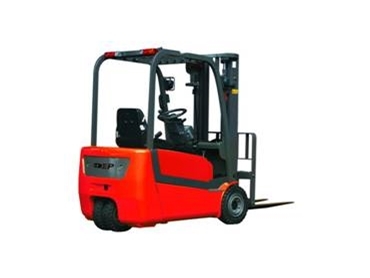 These units are counterbalance like a normal forklift with the advantage that the operators do not require a license, making them ideal for small factories. Boasting features such as power steering (standard) and capacities to 2000kgs, these stackers also run a large capacity traction battery and smart charger giving long duty cycle with easy battery maintenance. All the sizes in the ICEM counterbalance range of stackers have tilt as standard without straddle legs in front, making loading and unloading trucks easy. The mast out in front also gives excellent visibility cutting down on damage to products. The ICEM stackers have lift heights to 4660mm with both two and three stage masts available including an option of side shift on all models.